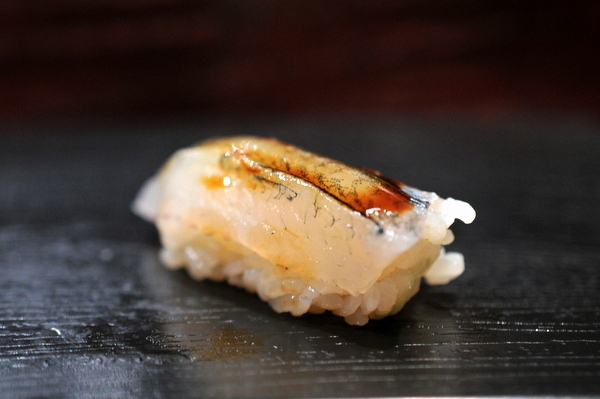 My first taste of Jinpachi came in 2008, at the inaugural FoodDigger event and I found the meal was solid but not exceptional. The restaurant certainly has its share of lineage, the owner Hirotaka Fujita comes from a long line of chefs and his wife Tomoko Okabe is a Spago alum. With the large party at the event, there was no way we could sit at the bar, a mistake that we would correct this time around. 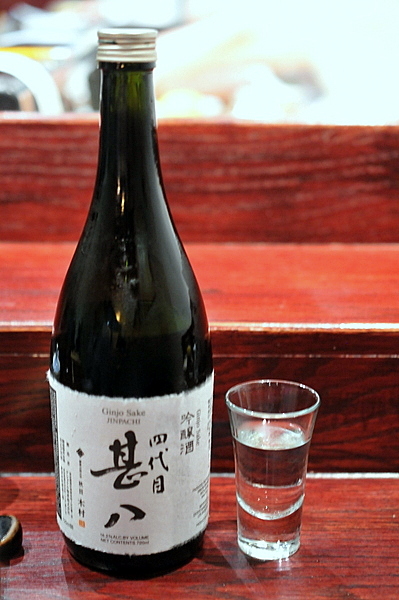 We started with the restaurant's signature sake. 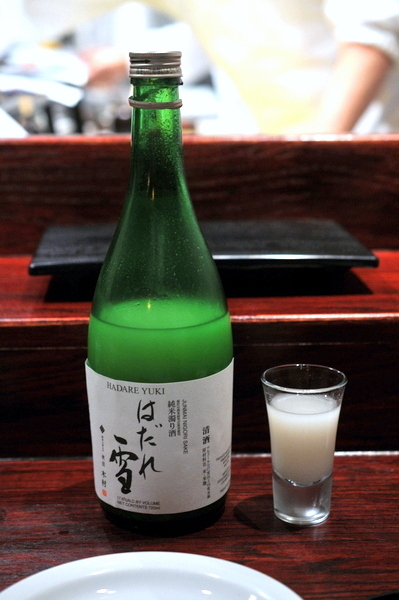 The Jinpachi sake isn't the most impressive sake, but it is well balanced floral and fruity on the start with a balanced mid-palate and a bit of heat on the finish. 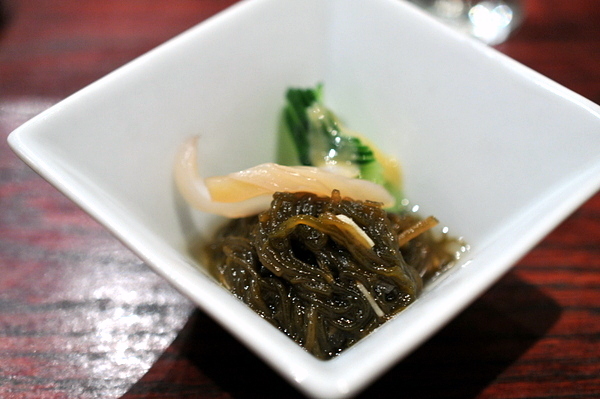 Fittingly the omakase started off with a mound of Mozuku seaweed topped with sliced jumbo clam and cucumber in a vinegared sauce. 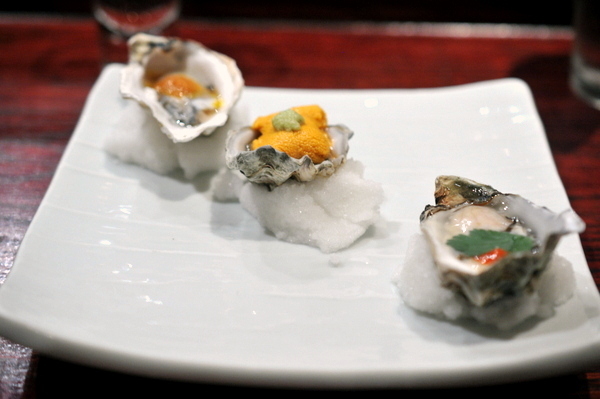 The mix had a base umami flavor brightened with a touch of salinity and a fresh piercing tang. Quite the step up from the typical sunomono. 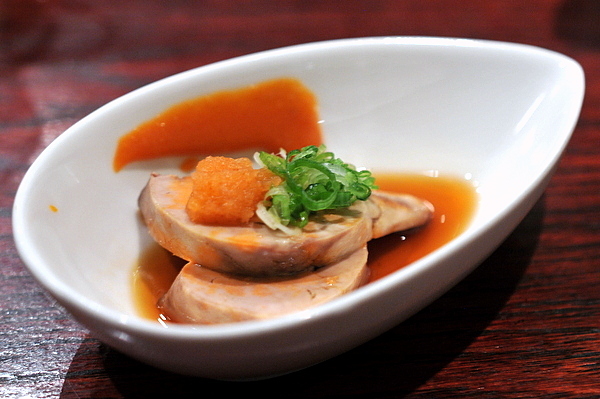 Jinpachi's ankimo starts off fairly tradition with typical accompaniments of scallion and pickled daikon, the acidity and freshness balancing the creamy heft of the perfectly textured monkfish liver. The kicker was the smear of miso paste on the back side of the bowl which brought an unexpected kick of sweet heat to the dish. Our final course before the nigiri was a rich marinated tuna paired with freshly grated wasabi and topped with nori and mountain potato. 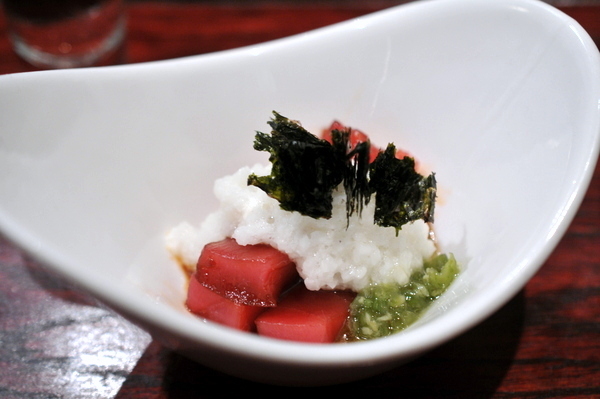 Fittingly the tuna bursts with salty soy relish set off by the nose-tingling heat of the wasabi. The mild flavor and mucilaginous texture of the mountain potato adds a tempering restraint to the dish. 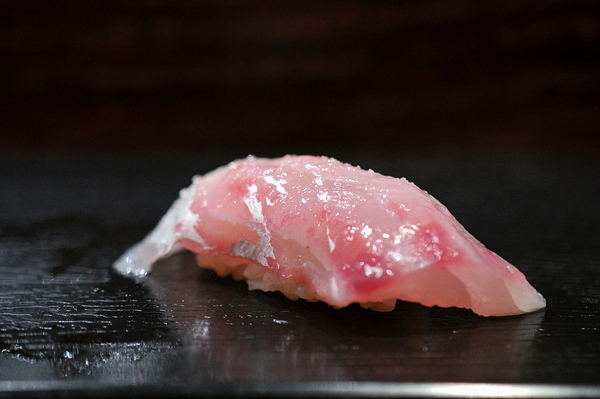 Fresh Shima Aji is always a thing of beauty and this was no exception, supple and lithe, the fish has a touch of oiliness coupled with a springtime tang from the onion topping. This was one of the best textured scallops that I've had in quite some time. 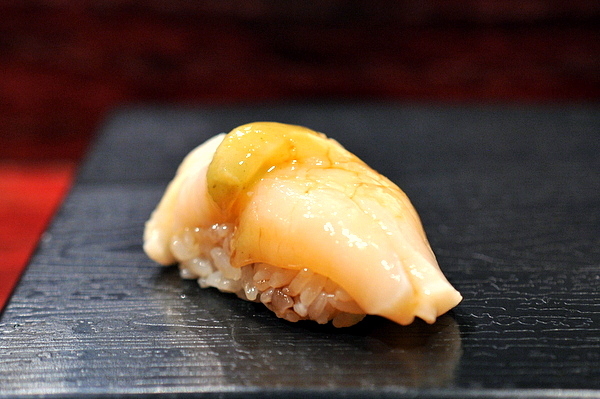 The sweet flesh is seasoned with a touch of citrus and shiso giving it a fresh minty kick. I've had better Kinmedai. While I enjoyed the jellied snap of the fish and the contrasting crunch of the salt though the lemon felt a bit heavy handed on this one. 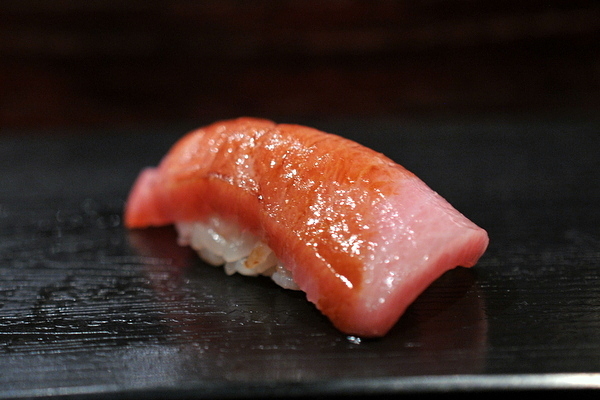 An exceedingly tender example of tuna, the Mebachi has a softer rounded flavor rather than the clean structured feel of Bluefin. 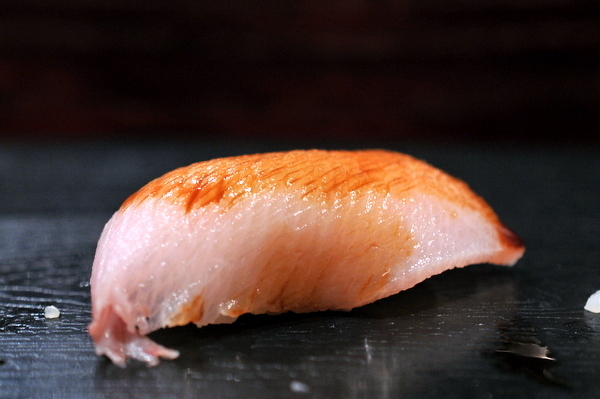 The yellowtail belly has all the charms of the classic sushi staple amped up with a rich oily relish that lingers on the palate. Exceedingly tender for a seared preparation the salmon has a sensual fleshiness and heady char and came topped with piquant accompaniments that provided a sharp tangy relief from the weightiness of the fish. 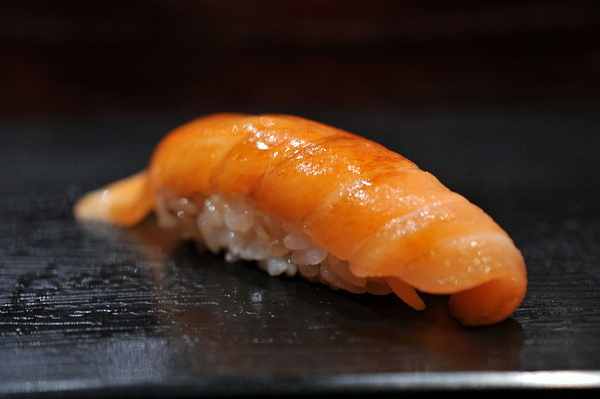 First up in our classic roe duo was Uni from Santa Barbara. 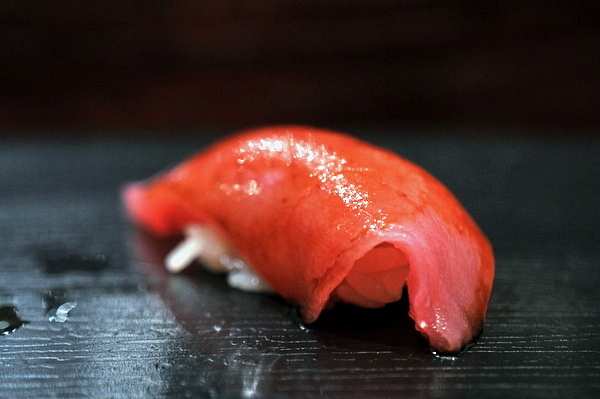 The chilled roe was simply sweet creamy goodness threaded with gentle salinity. 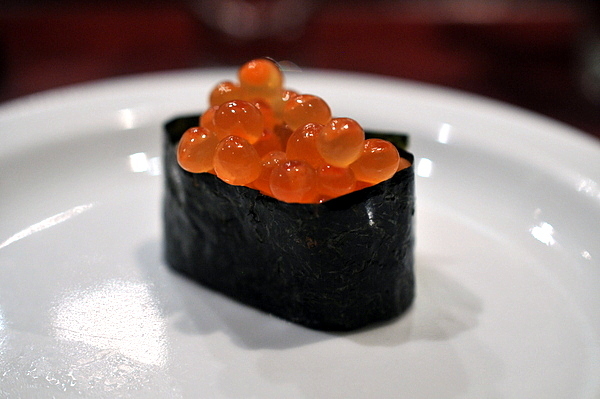 Next up was Ikura, the eggs were a touch softer than I would have liked but filled with a smoky elixir tinged with a rougher brine than the uni. 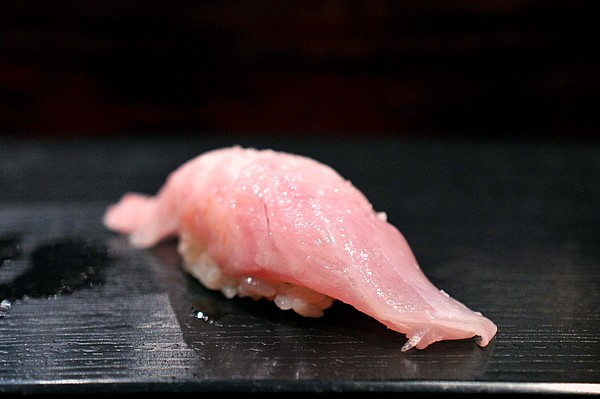 The sublimely tender toro started off with an urgent pungency from the soy that tapered off into the more familiar lush oiliness the fish is renowned for. I don't normally go in for the unfiltered sake but this wasn't bad, heftier than the Jinpachi sake, with a heavy rice-y sweetness and rougher booziness. The perfect follow-up to the tuna belly, the Kohada has an unabashed fishiness coupled with a pungent piquancy to cleanse the palate. 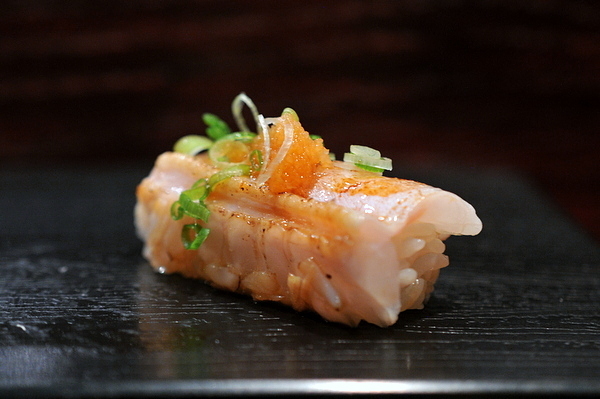 Dubbed King Mackerel, the Sawara looked a lot like Amberjack and had a similar mildness brightened by the spicy heat of the grated ginger. 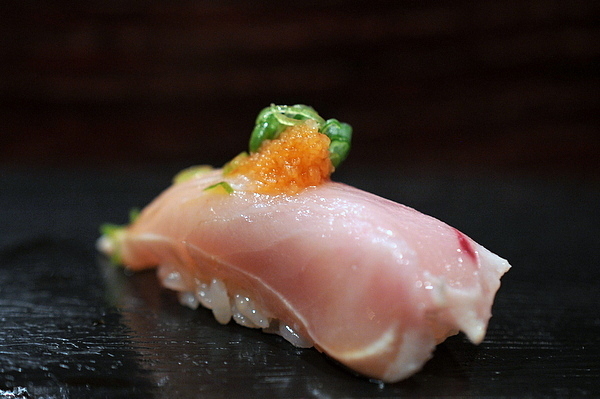 The raw albacore was easily the softest fish of the night beyond tender. The mild fish conveyed a bright tang from the scallion and daikon. The Tai comes dusted with salt and citrus giving the snappy flesh a fresh bracing lift. 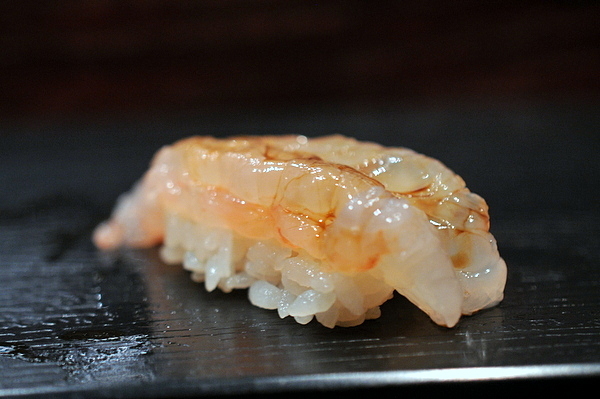 Next up was an absolutely majestic sweet shrimp. 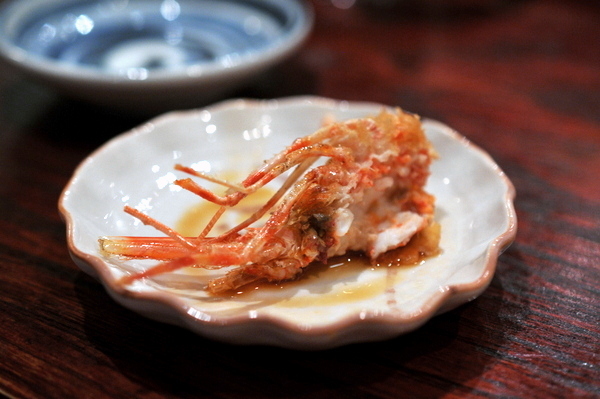 The live shrimp has a dense snappiness and steely saline flavor augmented by a brush of rich dark soy. 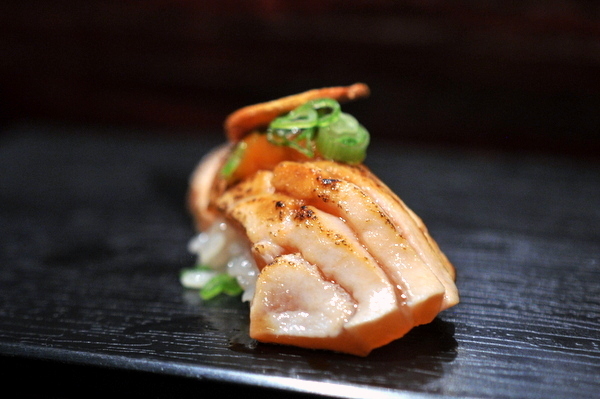 The Salmon Belly doesn't look particularly fatty but the fish has a rich buttery heft far above the typical Sake. 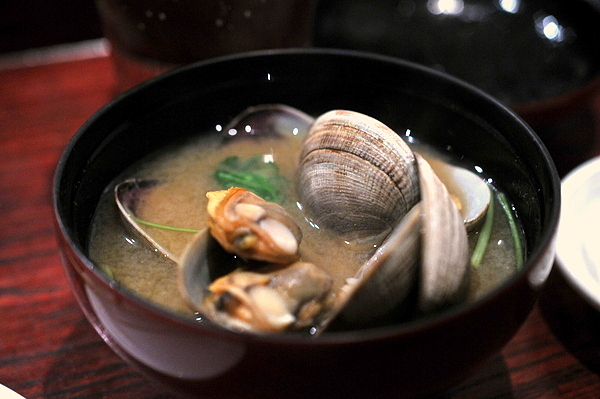 The umami-laden broth is imbued with an extra nuanced brine from the clams making this one of the better miso soups that I've had. Taking the soup as a sign the omakase was about to end, we decided to supplement with some extra chef recommendations. 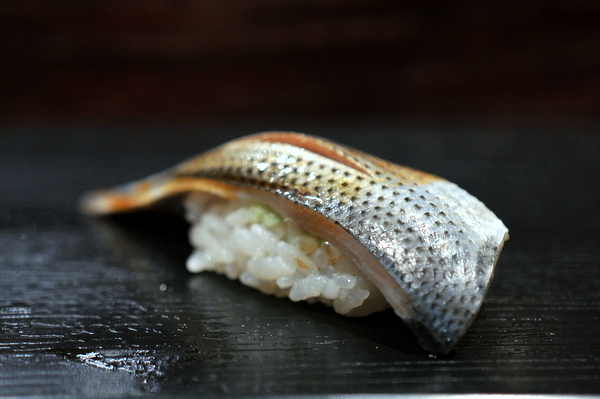 First up was a shimmery needlefish supple and tart the fish was a bit more complex than the typical Sayuri. 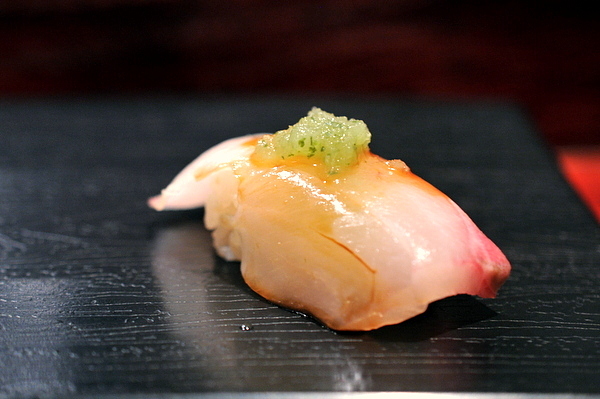 The seared Engawa was easily my favorite piece of the night. The adductuor muscle can be a bit tough and sinewy but the touch of the torch gave the muscle a gummy tenderness though with a touch of the typical Engawa chewiness as well as a pleasing smoky heft. The seared Toro was another treasure, the lavish bounty warm semi-runny oils are fantastically decadent blended with a touch of smoke and char. I've never been a huge fan of either anago or tamaki but they were a real treat when paired together. The eggy funk is tempered by the salinity of the eel as well as pickled radish. The result is a flavor that made me think of Japanese breakfast roll. 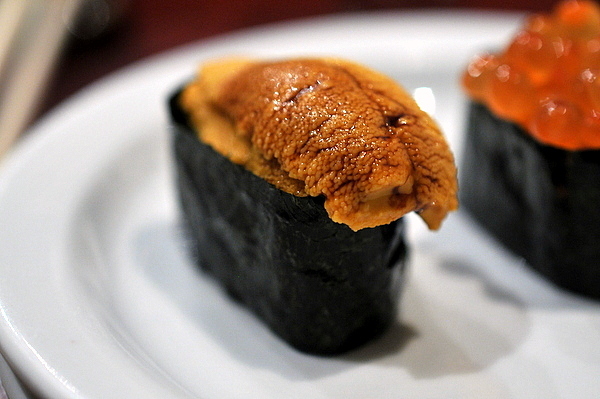 Jinpachi's seared nigiri has been consistently excellent so we decided to ask for a bit more of their delicious Uni kissed by the blowtorch. The resulting roe is softer with a texture more like melted butter and a heightened sweetness mixed with char that one of my friends likened to "charred butter." 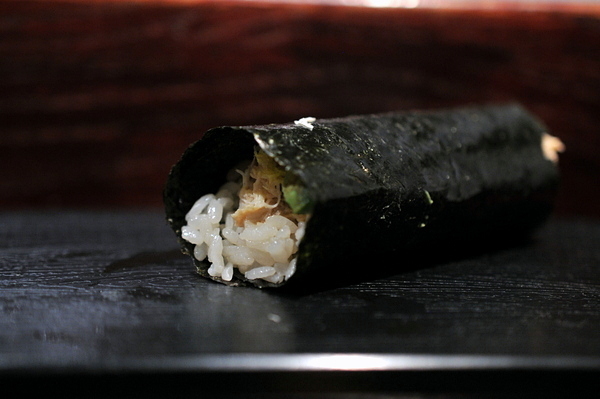 The savory dishes ended with a classic blue crab hand roll. The sweet crab meat coupled with the warm rice is pure sweet saline satisfaction. 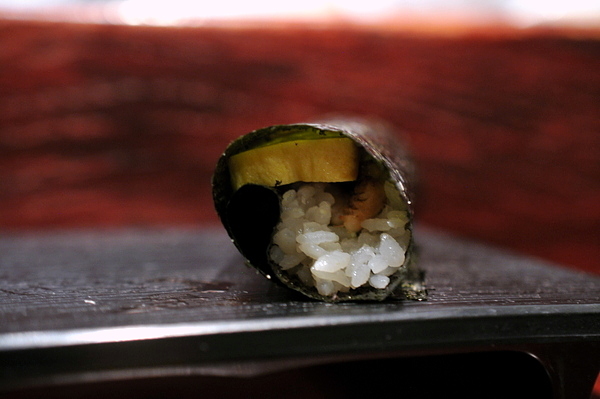 A sliver of avocado adds a light vegetal weightiness to the roll. 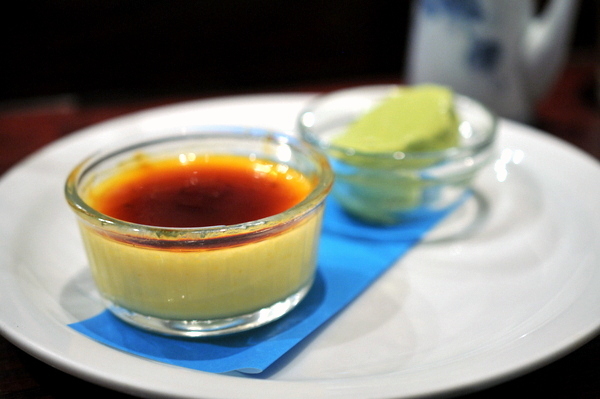 The desserts consisted of a cream cheese pudding that reminded me of a caramel flan with a compliment of vanilla ice cream. 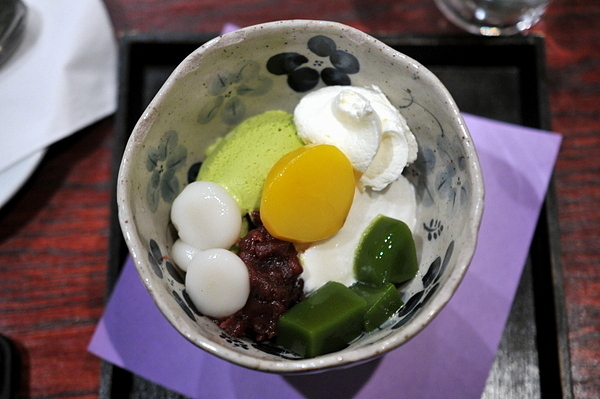 The Parfait reminded me of anmitsu, a classic Japanese dessert of green tea ice cream, red bean, mochi and jelly. I wasn't a huge fan of the dessert when I first had it but I must admit I'm coming to like the blend of textures and subdued sweetness. Funny what a difference the sushi bar can be. My first experience was solid but this time around the meal would have compared favorably to any of the city's top spots. 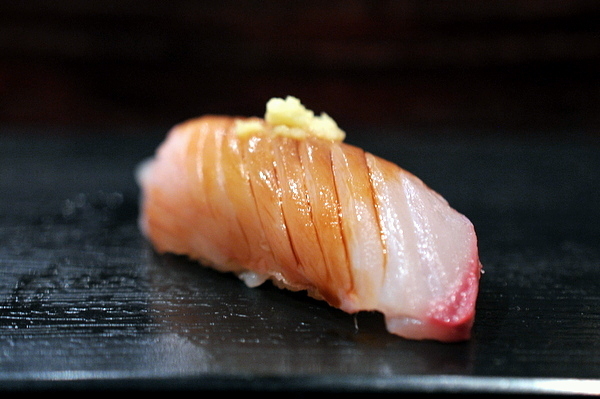 While I think there are better spots, I can certainly see how people consider Jinpachi the best sushi in LA. When I first heard about the All Star Chef Classic, the one thing that immediately jumped out at me was the French Masters Dinner, but $300 for five courses sounded a bit steep even for me. Two days before the event my friend Mike calls me asking if I could go with him as his first two options flaked and not wanting the ticket to go to waste I "reluctantly" agreed. 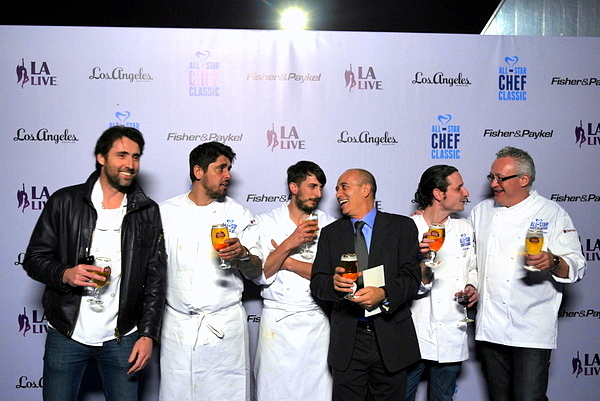 The event, part cooking lesson, part dinner took place at the LA Live in a venue called Restaurant Stadium which featured a large open kitchen surrounded by eight sections of stadium seating. The event started with a welcoming reception serving bottomless champagne and a selection of canapes. 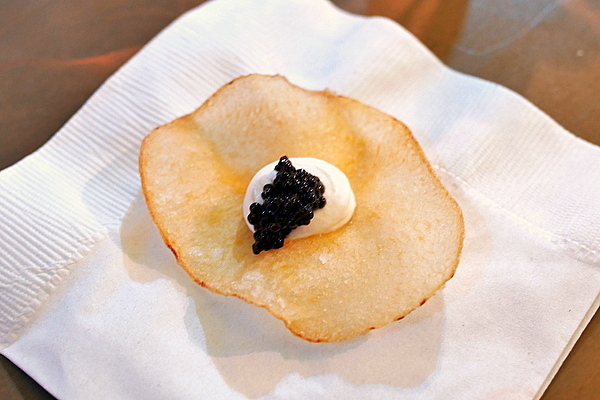 First up was a contemporary caviar canape with a potato chip replacing the venerable blini. The chip comes topped with a dollop of dense smoky creme fraiche and caviar. Classically nutty salinity is augmented by the saltiness of the chip, a natural compliment to the bottomless champagne. 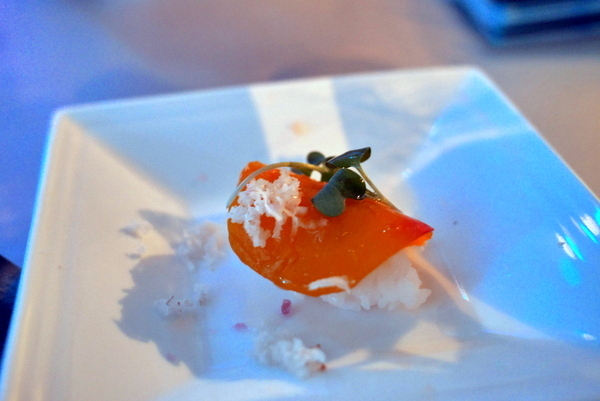 This was the weakest of the snacks, bland with a disconcerting blend of beet, herbs and vinegar. 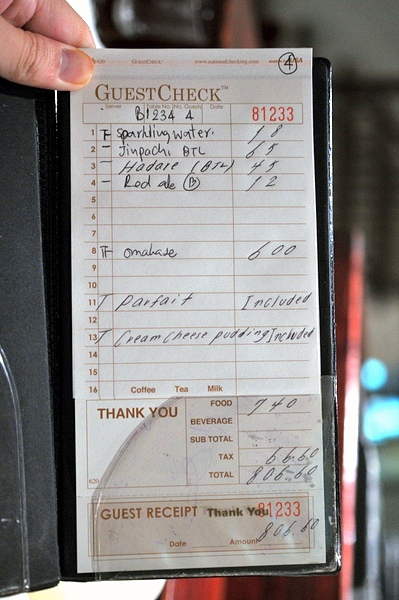 The texture of the rice was equally disappointing cold dense and tacky. The one interesting facet of this snack was a slight floral herbaceousness that comes through at the end. 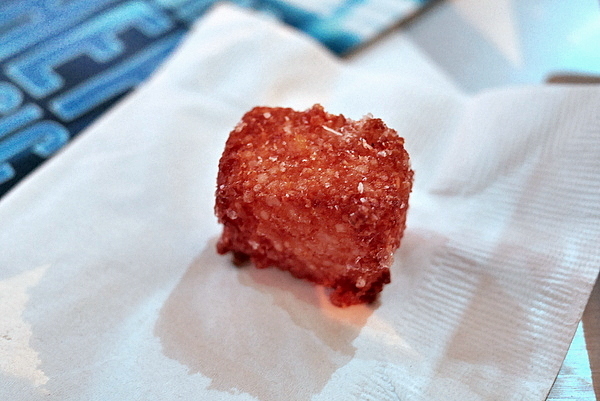 The cube looks like a butter cookie but the flavor is totally savory. 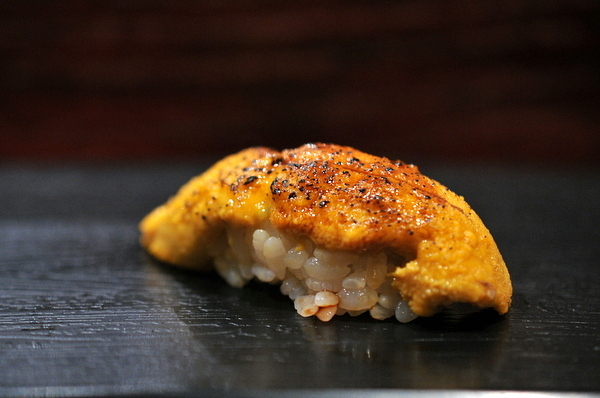 The texture combines crisp fried savor with a slightly sweet gummy texture from the tapioca and the semi-runny mixture of melted Parmesan and even more tapioca fills the mouth with a creamy cheesy goodness reminiscent of a gougere; an unconventional but undeniably effective bite. 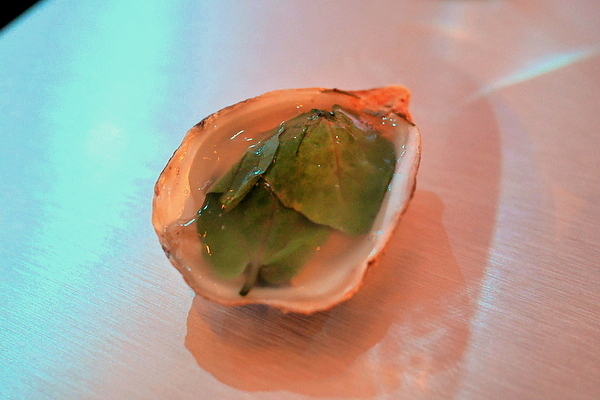 Along with the caviar chips the oyster was the standout of the welcoming reception, the sea water gelèe highlights the oyster's normally subdued salinity. The meal got off to a strong start with a course from Alain Passard chef of the legendary L'aperge. 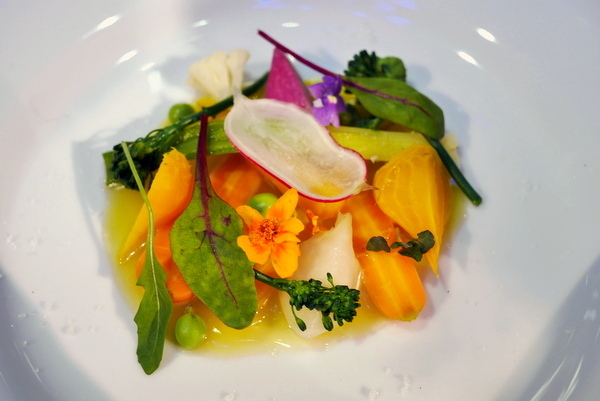 Playing to his strengths, Chef Passard offered up a dish that highlighted the versatility and complexity of vegetables from tender carrots to crisp leafy greens and bitter radishes. 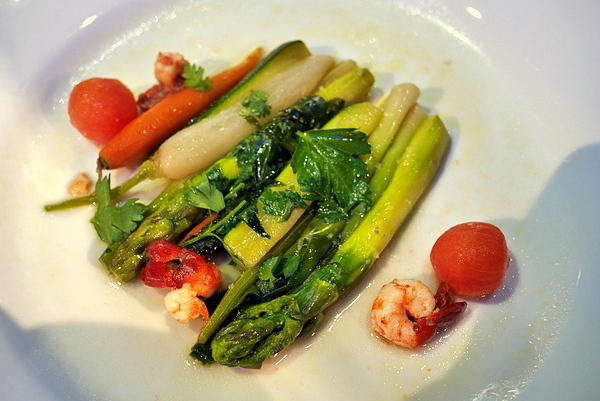 On the base of the plate is a thick tangy honey vinaigrette ties the palette of vegetables together. 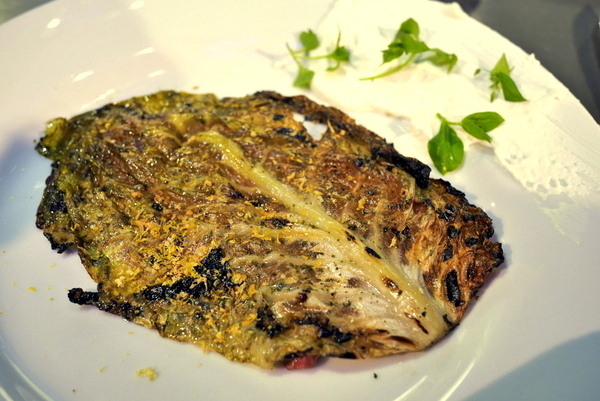 Next up was a seafood dish from one of Paris' hottest current chefs, Iñaki Aizpitarte. This dish announced its presence from afar, filling the entire stadium with the tantalizing smell of warm brown butter. The heady caramelized richness of the butter intensifies the crab's natural flavor which is subtly tinged with the aromatic elegance of the wild herbs. 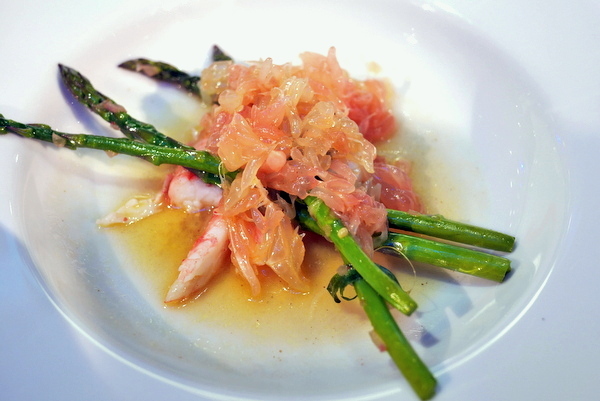 I loved the astringent contrast from the crisp asparagus spears and while the citrus was a natural accompaniment for the crab, I found the mound of fruit a bit excessive. This course was something of a combination of the previous two dishes but had none of their flair or flavor. The tiny crayfish were disconcertingly bland and the vegetables while crisp tasted like something out of a frozen dinner or third-rate steakhouse. 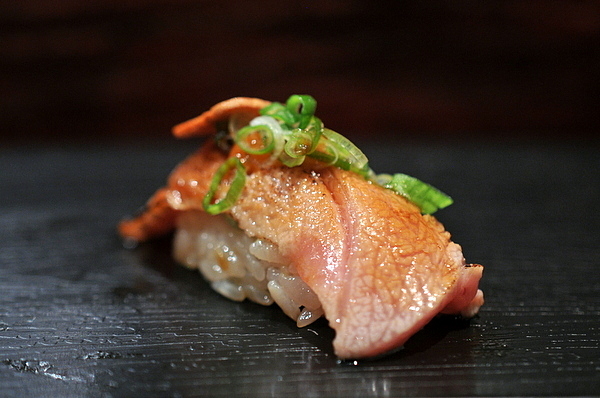 The thinly sliced duck breast reminded me of a similar preparation I had at Trois Mec. The breast wasn't quite as tender this time around, though I suspect this had more to do with the format of the dinner than anything else. The bitter char of the cabbage and the toasty crunch of the crumbled fatty duck skin both pair beautifully with the smoky relish of the duck breast. The light whipped twang of the horseradish adds a racy sour focus that cuts through all the dark weighty flavors of the dish. 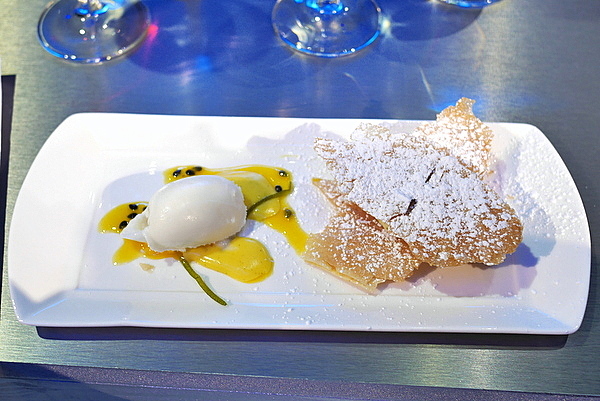 The composed dessert was a brilliant mix of airy puff pastry and bright bright fruity flavors. The combination marries the satisfying butteriness of the pastry with a vivid fruity acidity to keep things light. My friend called it the best dessert he had all year but he is diabetic so this might very well be the ONLY dessert he had all year. 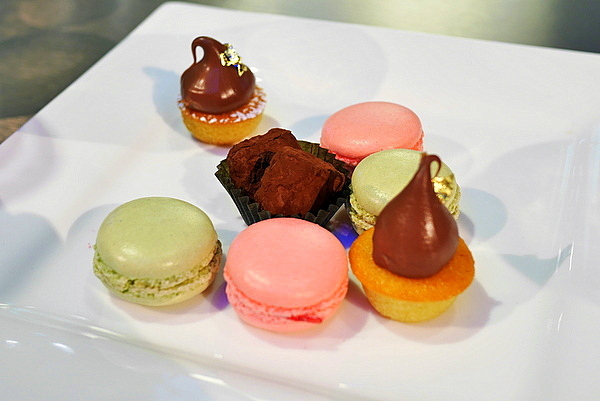 We were also provided a selection of classic sweets to end the meal that were all quite good. I've never been a big fan of these organized food events but with most of the chefs hailing from France this was an efficient way to sample their food without taking a Trans-Atlantic flight though to be honest I probably would have passed if my friend wasn't covering the cost of the ticket. Thanks again Mike. Let me know if you need a guest for next year too.